10 FEBRUARY 2013: For the last few weeks, we here at Mazibel have had a lot of irons in the fire. We are currently in development on three projects simultaneously: two in Haiti that are slated for production later this year, and one in the UK that starts production in just two weeks. Emily has been back in Haiti for the last ten days working with some incredibly talented artists in Jacmel and Port-au-Prince, developing the Art Direction for Passaj Anba Dlo-a or On the Backs of Mermaids – a short film about the passage from life to death as observed by Vodouisants. We have had the great privilege to work with internationally acclaimed Vodou flag maker Myrlande Constant, who has made five unique pieces for us, and to work once again with the artists at Grand Rue – E Pluribus Unum and the Atis-Rezistans – in designing the essential Ghede sequence, featuring Alexi Ducarmel as Bawon Samdi. The artists have made a series of masks for us, which they will wear in the extremely stylized Ghede sequence, showing the dance of Bawon Samdi and his wife Gran Brigitte as they are surrounded by the Ghede – the only lwa or Vodou spirits to have once lived as human beings. They are delightfully creepy, made of broken mirrors, recycled oil containers and car tires, and we think they will contribute a curious edge to the film – referencing as they do the process of spiritual recycling as each person passes through the sixteen phases of life as a human in the Vodou faith. Emily and long time collaborator Sean Roubens Jean Sacra (Serge to us) have also been in the North of Haiti researching material for our upcoming documentary on Bwa Kayiman, the site of the origin of the Haitian Revolution that lead the slaves imported by the French against their colonial 'masters' to independence, and set a precedent for the rest of the free world to resist the exploitative influences of colonialism, and to break the fetters of slavery. Sadly, one of our key sources and collaborators, Zaza, the Houng’an or Vodou priest in charge of the peristyle at Bwa Kayiman, has recently been imprisoned for reasons that have yet to be made clear. The charges appear to be related to a dispute over land, but there is a more obtuse political undercurrent to his arrest, and its coincidence with the recent amendments to the Haitian constitution that have stripped the rights of Vodouisants and rural landowners to protection under Haitian law. After visiting with Zaza in prison, and discussing the details of his arrest and detention with those involved, we are confident that he will be released and will continue to do good work in maintaining the historic site, and providing the community with a central hub, and we look forward to continue working together once he has been reunited with his family. While Emily has been in Haiti, Geoffrey has been hard at work organizing our next project, entitled 'The Mawkin' which will take us back to the Kent coast and its shingle beaches, and to some new territory in Suffolk. We are currently in conversation with the National Trust, Suffolk Council, and the Dungeness Estate Trust, strategizing our next shoot. This new project will take us into the abandoned nuclear test site at Orford Ness, where we will combine the mediaeval story of the Merman of Orford with a cautionary tale derived from a Ballardian apocalyptic near-future in which the earth walkers and sea dwellers are at odds with one another once again. We have been lucky enough to work with writer and storyteller Robin Herne on this project. 28 JUNE: We are delighted to announce that Achante will be participating in the 2012 Fantasia Film Festival in Montreal in July. It will be screening after the film L'HYPOTHESE. More details to follow. JUNE 16: Achante is showing along with the world's best documentaries at the Sheffield Doc/Fest Videotheque. There are many inspirational films and we are grateful to have the opportunity to show along side such great projects. 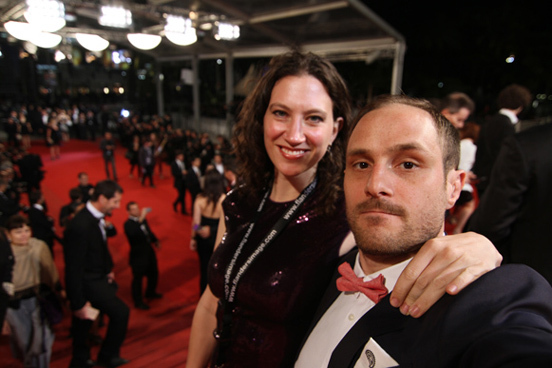 16 MAY: Mazibel Productions are at the Cannes Film Festival Court Metrage. To arrange a screening of our most recent film, Achante, please contact us. We will be at or around the main pavillion and would be happy to meet and discuss our current and future projects. 10 MAY: Achante received a Special Mention from the Vues d'Afrique festival in Montreal. "Mention spéciale: Pour nous avoir livré une oeuvre audacieuse avec un point de vue d'auteur sans compromis et néanmoins dénué de tout jugement; une mention spéciale est attribuée à Achanté d'Emily McMehen." "Special mention: For having delivered an audacious work with a point of view of an author that is without compromise and without judgement; a special mention is given to Achantè." Recently nominated for Best Young Director at the Festival Vues D’Afrique in Montreal! We at Mazibel are thrilled about the nomination, and sorry to miss the screening but we had pressing engagements at the BWA Gallery in Wroclaw, Poland where the show was also screened for a receptive audience in the exhibition “Fleurs de Mal - New Art from London” curated by Cedar Lewisohn. We were able to send our dear friend, colleague and collaborator Nadine Dominique to the screening, and show our support for a brilliant festival! Thanks Marinda and Yorodeo for your help in putting our new website together, and for making us look so good! It is a pleasure to work with such capable and talented people. Coming up in May we have Achantè screening at the Festivale de Cannes Court Mètrage so please come and find us for a glass of wine and a quick look! When we return, we will be taking the film to the Sheffield Doc/Fest where we are participating the Videothèque - a great opportunity to be inspired by the doc-savants who are screening new work, and to get some more eyes on the project! This summer we will be screening in Dakar, Cameroon , and Johannesburg with more screenings cropping up all the time, so stay tuned for the next screening near you.